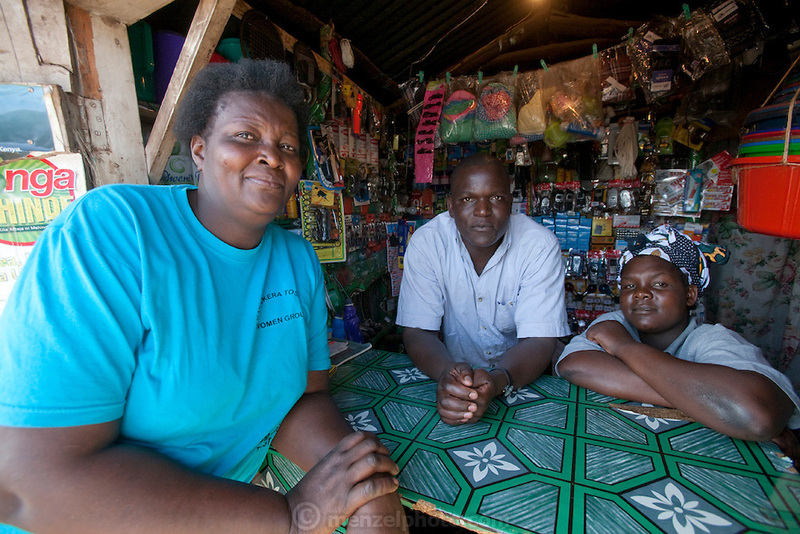 Roseline Amondi (left) a mother of four and microloan recipient with her friends and neighbors near her small café in the Kibera slum, Nairobi, Kenya. (Roseline Amondi is featured in the book What I Eat: Around the World in 80 Diets.) MODEL RELEASED.